By Michelle Dardis | February 15, 2014. With nominees from around the world the 86th Academy Awards will be, as it is every other year, a big night not just for those involved but for those watching at home too. 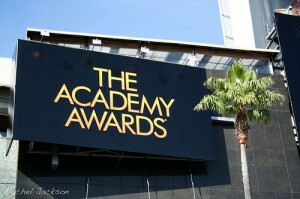 The ceremony this year will be hosted by American talk show host Ellen DeGeneres in the Dolby Theatre Los Angeles. It will take place on March 2nd, a week later than usual to save it from clashing from the Winter Olympics in Sochi. The nominees for this year’s Academy Awards seem to vary a lot more than previous years across all 24 categories, stepping away from the predictable films and actors and noticing the previously unknown or forgotten. In the Best Picture category we see American Hustle, Captain Phillips, Dallas Buyers Club, ‘Gravity, Her, Nebraska, Philomena, 12 Years A Slave and The Wolf Of Wall Street. The Best Actor in a Leading Role will go to either Christian Bale, Brude Dern, Leonardo DiCaprio, Chiwetel Ejiofor or Matthew McConaughey, while Best Actor in a Supporting Role will go to Barkhad Abdi, Bradley Cooper, Michael Fassbender, Jonah Hill or Jared Leto. The Best Actress in a Leading Role award will be given to Amy Adams, Cate Blanchett, Sandra Bullock, Judi Dench or Meryl Streep, and the Best Actress in a Supporting role will be either Sally Hawkins, Jennifer Lawerence, Lupita Nyong’o, Julia Roberts or June Squibb. One of the most prestigious awards of the night goes to Best Director and it could be going home with David Russell, Alfonso Cuaron, Alexander Payne, Steve McQueen or Martin Scorsese. The award for Best Animated Feature will go to The Croods, Despicable Me 2, Ernest & Celestine, Frozen or The Wind Rises. On the night, there will be a live performance from Idina Menzel, who will sing Let It Go from the film Frozen. Not only is the film up for an award but the song itself is up for Best Original Song. At the 2013 Academy Awards, Skyfall was nominated for Best Original Song and sung during the ceremony live by Adele. Perhaps it’s a good omen that the song was chosen to be performed on the night. With Dallas Buyers Club, 12 Years A Slave and The Wolf of Wall Street taking the lead in overall nominations, it’ll be interesting to see if they will actually come out victorious by the end of the evening. One way or another, it’s bound to be an interesting night, and one which we’ll be hearing about for weeks to come.